To participate in our gymnastics program, you must be a James Family Prescott YMCA Member. An annual non-refundable $30 registration fee per participant is required for enrollment. The registration fee is valid February 1, 2019 to January 31, 2020. Fee is not pro-rated. An official registration card and waiver completed and turned into the YMCA. 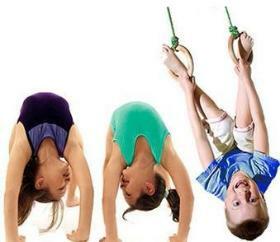 YMCA Gymnastics is a monthly, pre-paid program. Fees are due the first of each month. A $10 late fee will be attached for payments received after the 5th of the month. There are no refunds, transfers or credits. Credit is not given for absences, holidays or snow days. Tuition is based on four weeks. Fifth week classes are complimentary and in lieu of credit. Membership and program payments must be current with no balance due owed before gaining facility access or signing up for another program. The YMCA provides financial assistance for those in need through the Y Scholarship Program. If you would like your child to participate in a Y program and cannot afford to pay the entire fee. Apply for a Y Scholarship today. No one is turned away for inability to pay. Qualifying is based on the needs of the family. Gymnastics / Dance Scholarship Application. Boys wear a fitted tee shirt or tank, and shorts. Girls wear leotards or bike shorts and tight tee shirts. No child will be allowed to participate in jeans. Please be dressed and ready before class begins. Put shoes and socks in the cubbies. Gymnastics coaches will supervise the gym. Have a Gymnastics Birthday Party!